Thanks for stopping by hot rod interiors by Bennett's Upholstery . 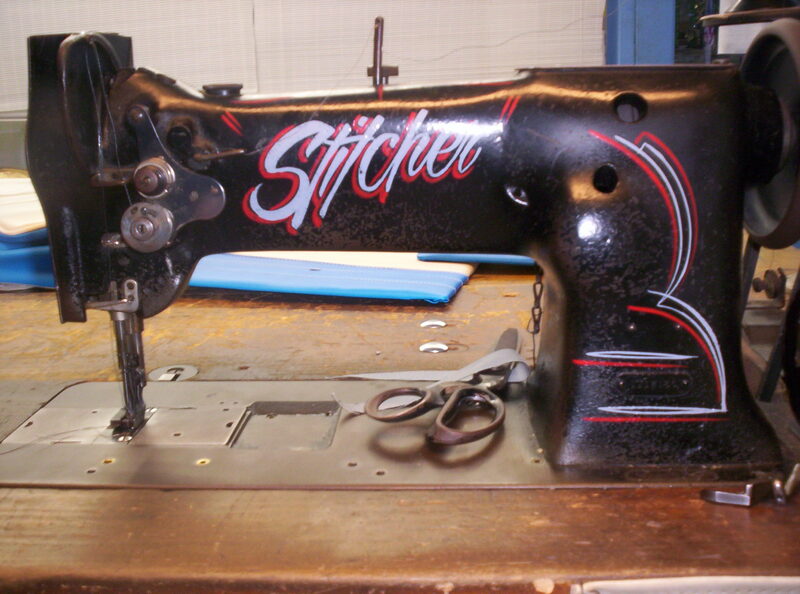 I have been stitching upholstery since 1989 and been in the hot rod hobby since as far back as I can remember I guess since the early 70's .I have developed my own style of designing hot rod/street rod interiors.I also do small aircraft interiors . I have learned some design aspects from my father who built custom aircraft cabinets so I guess you could say that my designs have an aircraft influence as far as my custom designed center consoles and compartments go. 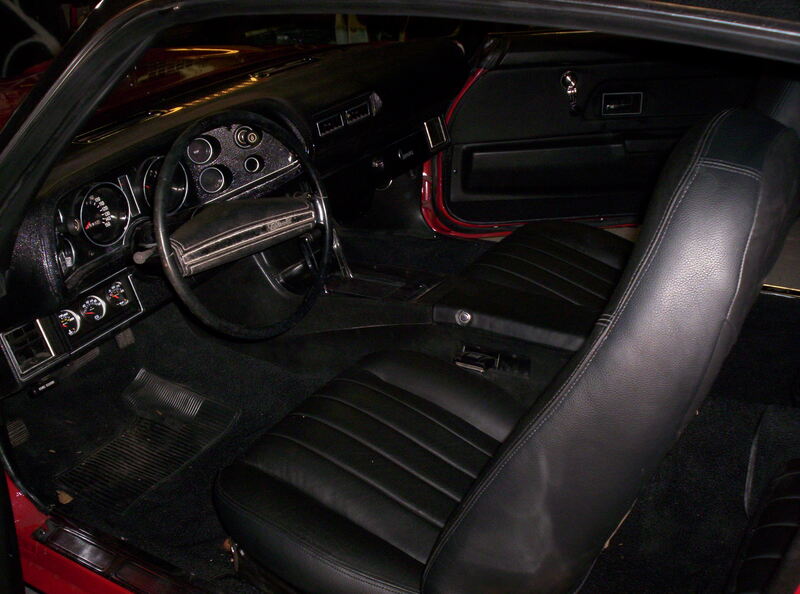 I use the best leathers and materials and taylor each interior to the personality of the car and the owner. My shop is in a small town of about 600 people , yes 600 people. I grew up in St. Charles Illinois , and had a shop on the Fox River there . In 1995 we moved to Lamoille , Illinois were my shop is now. Enjoy my new site and give a call if I can design a one off interior for your car.aThere are pictures on every page so be sure to check out all the pages for more of my work ! !Updated 11-21-2013 I will be updating the web page soon but check out the facebook page also ! Hot Rod Interiors by Bennetts Upholstery on facebook ! Pictures of the "triple nickle" , 60 chevy 2dr. wagon , 41 chev convert , 69 camaro convert etc ! Some of my interiors have been run through Barret Jackson auctions and been in magazines such as Northern Rodder , Street Rodder , Ol" school Rods , Midwest Muscle Car and won many trophies in the World of Wheels(chicago) , perfect Interior score at the Chevy / Vette Fest (chicago). I am usually booked months in advance so it is best to contact me as soon as the project gets underway . Only a received deposit will secure your spot on the schedule.My shop is located in La Moille , Illinois which is 60 miles south of Rockford Illinois and 60 miles east of the Quad cities and about 100 miles south west of Chicago. Feel free to call the shop at 815 638-2524 to discuss your project. Thanks again for stopping by and be patient , this is my first attempt at a web site so check back often.Be sure to check out all the pages for more pics of my work. Check out the Feb. Street Rodder for t-roadster .Top 100 !! Great job Jim!!! Up Next..1931 Buick 4 door !